The Copyright Royalty Board this past weekend ruled on a long-running music streaming royalty case in the U.S., favoring songwriters and music publishers in a decision that increases the royalties paid out by streaming music services by more than 40 percent (via The Wall Street Journal). Now Apple Music, Spotify, Amazon Music Unlimited, Pandora, and other streaming music services will be required to pay 15.1 percent of their revenue to songwriters and publishers, increasing from 10.5 percent. Companies with "less diversified" services like Spotify and Pandora -- which are focused on streaming music -- are predicted to be hit the hardest, while Apple, Google, and Amazon are "unlikely" to be fazed by the ruling. A federal copyright board has raised the music streaming royalties for songwriters and music publishers by more than 40% to narrow the financial divide separating them from recording labels. The new royalties will "narrow the financial divide" separating songwriters and publishers from recording labels, although the National Music Publishers' Association estimated labels will still receive $3.82 for every $1 paid to the former group. Before this past weekend's ruling, the trial over music streaming royalties had been ongoing for the past year, igniting after paid streaming music services gained popularity over owning or downloading individual songs and albums. In terms of record labels, last summer Apple began seeking to reduce the share of revenue record labels get from streaming music as it worked to establish new deals for Apple Music and iTunes. The company did just that in a deal struck with Warner Music Group, achieving a lower rate for the label that includes artists like Ed Sheeran, the Red Hot Chili Peppers, Bruno Mars, and more. They should really be taking that out of the chunk the labels are claiming, it's really absurd that labels continue to exist in this day and age. I can’t believe people actually use the free tier on Spotify. The full price is less than the cost of one album per month. It’s crazy good value. $4.99 if you’re a student. As with everything, it's a value proposition. You and I might value music and think a $10 monthly sub is worth it. Bill and Susan might place music much further down their values list so a free tier is all they want. Steve and Jake might be somewhere in between decide to share a family plan with a group of other like minded friends. I pay $60 for XBox Live. I think it's a good deal. You may think I'm wasting $60. Value. It's different for everyone. The pain just keeps mounting for Spotify. We’ll see what their subscriber numbers are once their free tier goes away. I’m somewhat conflicted on streaming. While streaming has conveniences and owning all your music can get expensive, I’ve seen it happen more than once where a song on my playlist disappeared from Amazon Music. It was still on the list, but I got an error saying that this content was no longer available. I guess you still get a huge library to chose from, but knowing something can just disappear changed my perspective. I’m back to buying more music, especially from the artists I really like. THIS. This happens to me all the time with Apple Music... especially with tracks that are more rare (b-sides, unreleased, etc) are more prone to be removed from the service. 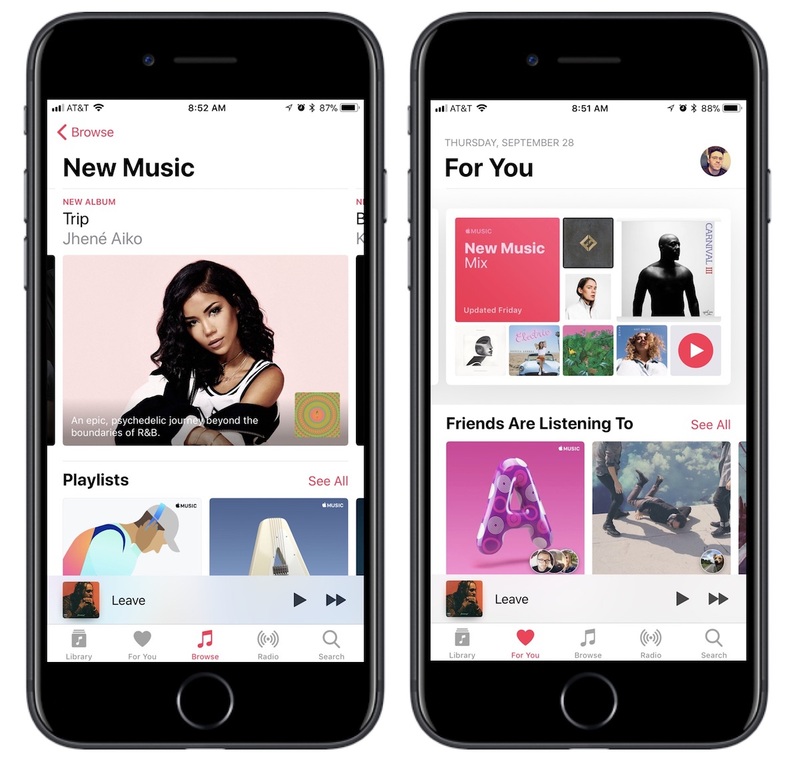 What annoys me about Apple Music (and others) is the heavy focus on promoting and showcasing mostly radio friendly pop, hip hop, etc. Just extremely commercialized. It's expensive, producing the tracks professionally, advertise and distribute in multiple formats around the world. If the artist can afford to do it, then the best of luck to them. I dont know why people are against labels. How much the artist is paid, is between the artist and the label. Is it a matter of paying a monthly fee? If you look at the market of just about everything, it’s not about a final, one-time price anymore, it’s all about monthly payments. It’s not just mortgages or car payments or monthly utility usage, but car leases, cell phone financing, video streaming services, game service subscriptions, music services, cloud storage, etc. Some make sense, but seemly everyone just wants a few of your dollars each month for a privilege. When you back out of the agreement, you’re often left holding nothing. Because there are so many “monthly” items to chose from, I guess people start drawing the line somewhere just to stay sane. I think 'labels' are necessary, but their power and hunger for money has gotten way out of hand. There are many songs out there about how grotesque the record labels have gotten over the years. And a list of acts that have been bankrupted by the shenanigans of the accounting people at labels. Granted, some of that could be the acts themselves, but the exorbitant fees and such they extort from artists is ridiculous. AND, having seen a smattering of Milli Vanilli articles last week, and suppressing my gag reflex, I also cringe at the power of record labels, and the wretched industry themselves to take us back to that time, with 'manufactured music'. I see it happening right now. SO many 'new acts' are the same old tired plot, find some cute girl, or boy, hop them up on lessons and money, and extort them all the way to a record profit year. Just look at all the girl singer acts that are swamping the airwaves, not to mention the 'reality TV' vomitoriums producing the next wave of over produced crap singers. Hearing that the Stones, Elton John, Neal Diamond, etc, have stopped touring, and so many original rock act members dying leaves me profoundly depressed because the formulaic 'music' coming out of the labels, and industry, is junk! I think it has a lot to do with the fact that so many acts have stated they make nothing from record sales or downloads and make all of their money touring and from merchandise. Best current case in point is likely Weeknd. David Byrne,late of the Talking Heads, has written a brutal book on the lack of help labels actually are. If there were not so many stories of rock and roll legends living on the cusp of poverty while their labels are worth billions people might see a truly symbiotic relationship as opposed to a parasitic one. Apple wasn’t altruistic in wanting to help artists, the labels came to Steve Jobs at the height of Napster’s usage and basically said help us, do anything, but please help us or we’ll be bankrupt. So the record stores are gone, music on the radio is as dead as Media Play or a Virgin Superstore, streaming services are likely not far behind and we’ll be left discovering new artists on YouTube.